The BMW 8 Series Convertible was made official recently an now BMW has revealed that the first 8 Series Convertible has rolled off the production line. There will be two different versions of the new 8 Series Convertible available at launch the BMW M850i xDrive Convertible and the other the BMW 840d xDrive Convertible. 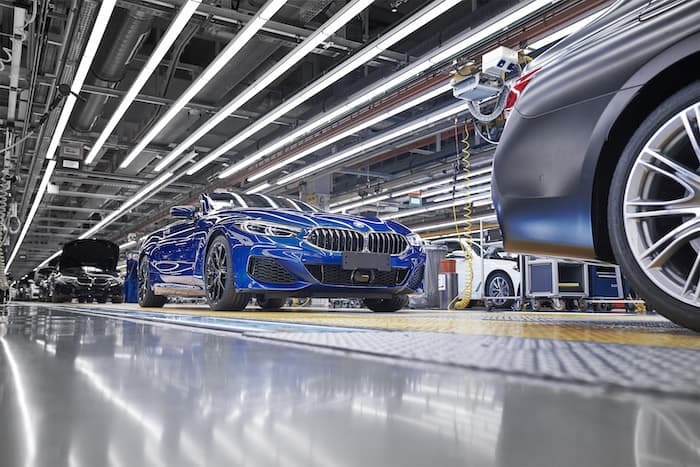 Four months after production of the new BMW 8 Series Coupé ramped up in Dingolfing, the BMW 8 Series family is joined by another new addition from Lower Bavaria. 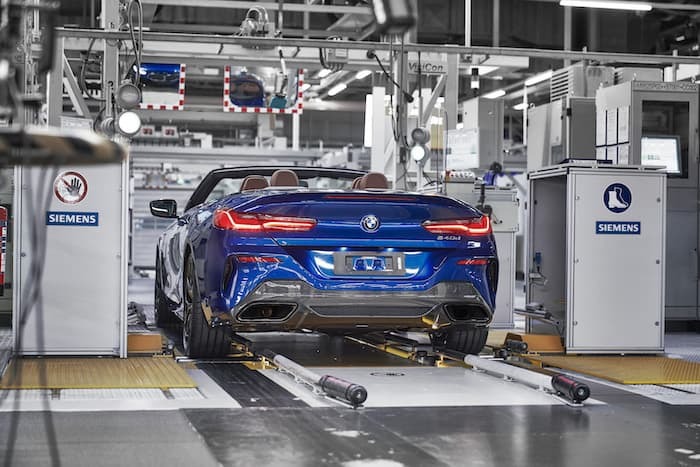 Earlier this week, BMW Group Plant Dingolfing began series production of the new BMW 8 Series Convertible, which will be built alongside BMW 5 Series and 7 Series variants on a single assembly line. The BMW Group has invested a total amount in the low three-digit-million-euro range in the new model family at the site in Lower Bavaria, strengthening Dingolfing’s role as the lead plant for the upper luxury-class segment. You can find out more details about the new BMW 8 Series Convertible over at BMW at the link below.